Quite a gloom was cast over the whole of the Brunswick district on Friday afternoon, when it became known that Mrs. Fry, for many years a resident of Benger, and a very well known personality in the South-West, had died at Donnybrook. The deceased lady had been ill for some considerable time, and the cause of death was double pneumonia. Mrs. Fry, whose Christian names were Edith Horiatia, [sic, Horatia] came to this State from England about 15 years ago, bringing with her family of three sons and one daughter. They settled at Benger, and developed the farm and established the homestead known as “Shenfield,” of which Mr. Stephen Fry, the eldest son, is now the owner. Of a retiring disposition, and yet always kind and considerate, invariably at hand to assist her neighbors and friends in their troubles, Mrs. Fry, during her residence among the farming folk, won and retained the highest respect, esteem, and admiration of the community. It is safe to assert that there was no one more beloved than she throughout the whole district, and the announcement of her demise has been the cause of universal sorrow and many expressions of sympathy for the bereaved relatives. Some few years ago the deceased lady went to live with her two younger sons, John and Phil, who are the owners of a valuable property known as “Crendon,” near Donnybrook. A. few weeks ago she became seriously ill, and Dr. Joel, of Bunbury, was summoned. Medical attention, however, proved unavailing, and the lady succumbed on Friday afternoon. Mrs. Fry’s three sons survive her, but her only daughter, who was married to Mr. R. Clifton some years ago, died only 12 months after the wedding. Mr. Stephen Fry, the eldest son, is a well-known resident of Benger, and has a family of four sons, but the other two sons of the deceased are unmarried. Mrs. Fry was a sister of Mr. J. Partridge, of Brunswick, one of the best-known settlers of the South-West. She was in her 59th year. The funeral took place on Sunday afternoon, the remains being interred in the Donnybrook cemetery. A large number of Donnybrook friends attended, and the cortege also included, as well as her West Australian relatives, a number of residents and settlers of Benger and Brunswick. Many floral tributes were received. The ceremony was conducted by the Rev. P. J. Ryall, and the service held in the Anglican Church was the first, fully choral burial service yet held in Donnybrook. The coffin was borne to the grave by her brother and three sons. 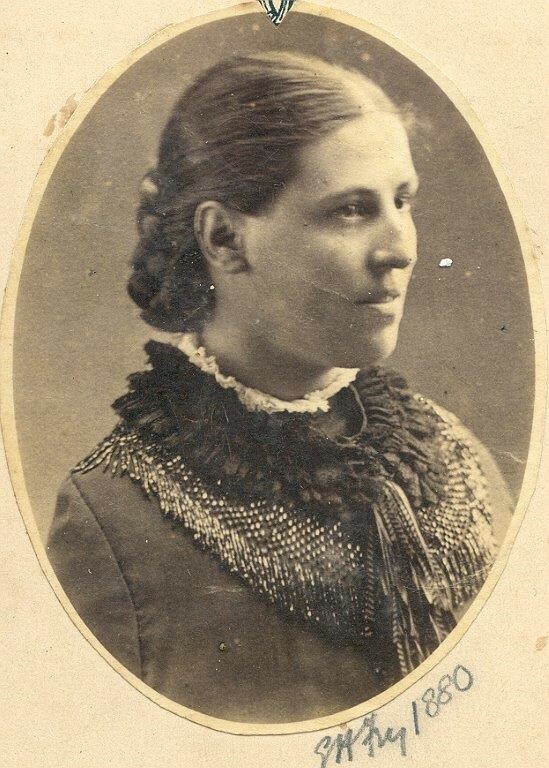 Mrs Edith Fry, photo courtesy of Wendy Fry.